While athletes were competing and spectators were cheering them on, behind the scenes, an army of volunteers brought the Golden Jubilee Games to life. 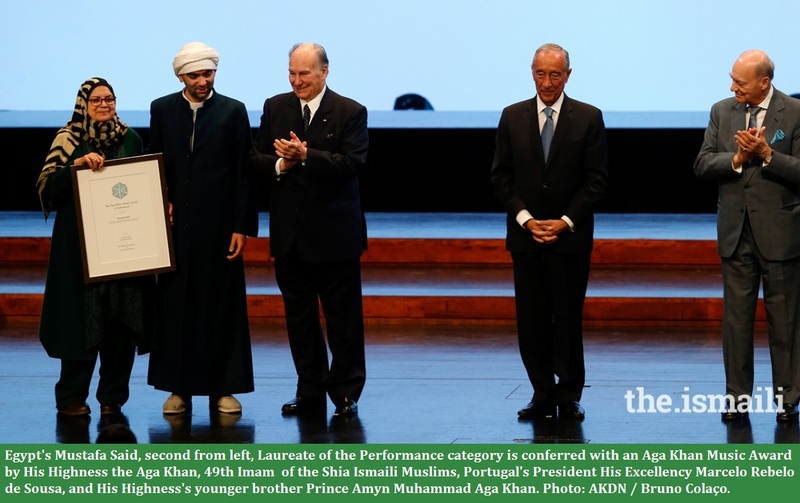 The games which were held in Nairobi, Kenya from 24 – 29 June 2008 were part of the official celebrations commemorating the Golden Jubilee of His Highness the Aga Khan, the 49th Imam of the Ismaili Muslims. Competitors and spectators from more than 20 countries participated in a celebration of excellence in sport, as well as a variety of social and cultural activities. Flipping through the guest books from the Athletes’ Lounge one cannot help but be moved by the passionate stream of praise for the organisation and volunteers of the Games: “Mind blowing”; “Absolutely great and beyond my expectations”; “Unbelievable”; “Thank you, thank you, thank you”; “The Kenyan Ismailis have been very, very, very helpful”; “Kenya as always — exceptional hospitality”. Of all the athletes and guests I spoke with, Munira Badaruddin, of the UAE badminton team, best captured the essence of the volunteer spirit: “I want to salute volunteers of Kenya Jamat. No time did they say ‘No’; every time they said ‘Yes’. Even the African people, they are very humble, kind. Every time you said ‘Please I want this’, [the reply was] ‘OK’,” she noted with gratitude. Perhaps what was not evident to those who participated, however, was that this was a truly unique event in more ways than one. It was the first time ever that not only was there a global gathering of Ismaili athletes and participants at one event, but that there was an equal number of volunteers around the world, who worked tirelessly in their own countries in the months prior to the Games, and then came together to bring the Games to life. Planning for the Games began over 15 months prior with the creation of a core team to conceptualize and organise an overarching framework for the event. Additional teams were created for sports, venues, hospitality, transport, catering, logistics, registration, Opening and Closing ceremonies, entertainment, marketing, media, and safety and security amongst others. Each participant’s Golden Jubilee Games experience began as they stepped off the plane, where at the Jomo Kenyatta International Airport, Nairobi, a hospitality team of over 70 volunteers was tasked with taking care of an expected 1,800 athletes and visitors. Tents were set up and manned from 2:30 am until midnight to receive each flight and guest. Upon disembarkation, guests were greeted and assisted with immigration, baggage and additional information to make their stay more pleasant. Once outside the terminal building, they were offered light refreshments and even a meal, and given local souvenirs to welcome them to Kenya. At the hotels, volunteers manned help desks throughout the Games to assist with check-in, check-out, transport and other day-to-day needs and information requirements. The hospitality team did an admirable job of ensuring that all athletes and visitors were comfortable at all times and that their requirements and requests were met wherever possible. The transport team had the complicated task of coordinating a fleet of some 40 buses, numerous minivans and cars moving between the 10 sports venues, the Golden Jubilee Games Village, hotels and various excursions through Nairobi’s busy traffic and to extremely tight schedules. Numerous situations added to the complexity of their tasks such as drivers dropping off passengers and leaving, not realising drop-off stops were also pickup points. At other times buses would deviate from their planned routes as athletes, stressed to reach their matches on time, ‘commandeered’ and directed them one venue over another! Shoulder to shoulder – faces from the Golden Jubilee Games. Photo: Mohib Ebrahim collection. In total, the fleet effected over 70,000 passenger trips thanks to the coordination of a team of some 100 volunteers, 15 of whom worked continuously from 5:00 am to 2:00 am the next morning – sometimes getting their sleep, as passengers, on the bus while stuck in traffic. By the end, the transport team was truly exhausted and sadly few, if any, were able to attend any events, with the exception of the opening and closing ceremonies which they attended at the insistence of their team leader. The registration team had the arduous task of ensuring that every athlete, spectator, staff member, performer and volunteer was correctly accredited with the necessary passes to enable them to access the relevant facilities, as well as their accommodation, team kits, orientation sessions and other essential services. The team of over 100 volunteers worked round the clock in the days leading up to the start of the Games to ensure that registration was completed efficiently and successfully. Every volunteer team faced situations that were dynamic and often unpredictable, demanding spontaneous decisions which tested their resolve and patience. For example, the final athlete count was not received until a day or two before the Games started when it surged by 15% leaving hospitality scrambling to locate appropriate accommodation, despite three other major events taking place in Nairobi simultaneously. At one point, hot water was also an unexpected problem when Nairobi City instituted water rationing for a day and a half. Then at one hotel, a hot water pipe burst when numerous athletes attempted to shower within minutes of each other in an effort to get ready for their big game! Nevertheless, the volunteer teams reacted to problems with a “can do” attitude, rising to the occasion. Stories of good Samaritans abound. One offered his cell phone free to a dehydrated, hospitalised Syrian athlete so he could call his mother, saving him a two-hour drive in traffic to a phone service. Setting an agenda of things to do prior to preparing a dinner. Photo: Mohib Ebrahim collection. When it came to meals, the catering team shone. By all accounts the meals and their variety were brilliant and, moreover, specially balanced to take into account the athletes’ dietary requirements. The team had the mammoth responsibility of preparing and serving meals for up to 6,000 Jamati members daily, morning and afternoon snacks for athletes, lunch for the athletes and volunteers, meals for grounds staff and hundreds of performers for the Opening and Closing Ceremonies’ rehearsals, as well as refreshments, all at different venues. Volunteers hard at work, with some taking a deserved short break from chopping and peeling vegetables. Photo: Mohib Ebrahim collection. Food preparation and cooking ran around the clock for eight days. The night shift took over at about midnight to prepare packed lunches for the athletes for the next day. After just three days, they were quite exhausted and one night only two volunteers arrived. Although some of the day crew stayed on, they were insufficient and a request for additional volunteer support was made. An hour later twenty more were back and, after frying fish the whole day, they continued through the night! Like the transport team, the cooking team did not get a chance to attend the events and, being in the kitchen, rarely got a chance to even mix and mingle with the athletes — with the exception of when the entire Afghan team arrived in the kitchen one day and offered to cook a traditional rice dish! 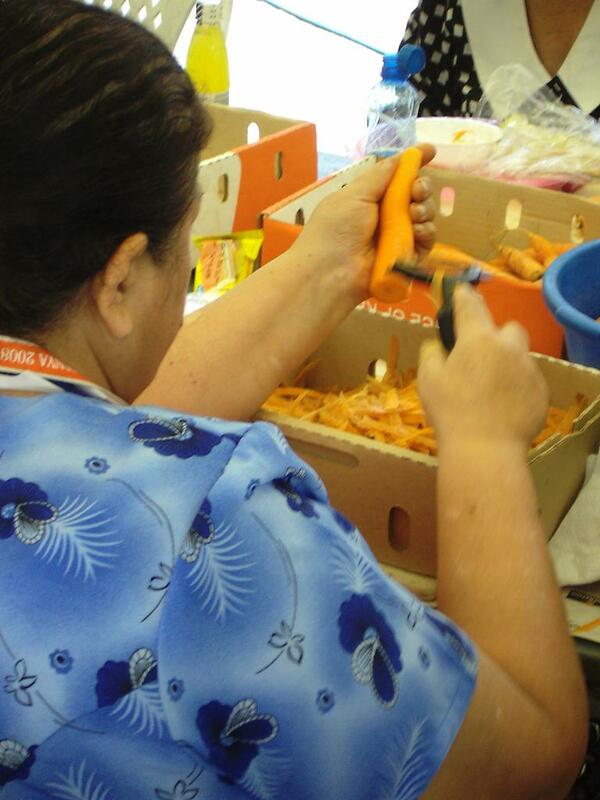 A volunteer peeling carrots. Photo: Mohib Ebrahim collection. Sport was handled by a team of about 40 volunteers. Two organisers had between them a convenor of each of the 14 sports reporting to them. Each convenor had a local sports federation, such as the Kenya Badminton Association, engaged to run the sport at the venue and to also provide professional refereeing. Each convenor also had a site manager to ensure the facility, such as a soccer pitch, was ready and appropriately branded. A third organiser handled all other issues related to sports such as equipment. The team was also supplemented by ‘runners’, who would bring the results back to the scoring centre using the transport network, where another team would collate and release the results. The media team comprised over 50 international volunteers who assisted as writers, editors, producers, photographers and video crews, capturing and recounting the many unique experiences of the Games and enabling them to be shared with Jamats around the world. 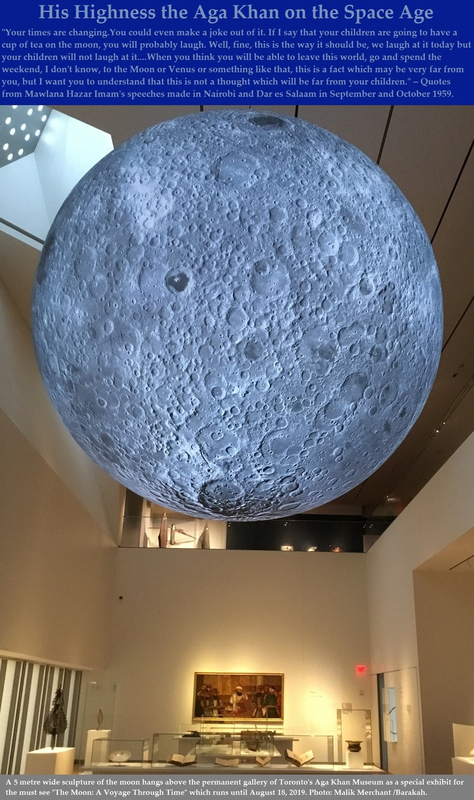 The media team ensured that the day’s activities, stories and footage were being continuously documented and compiled, to be shared via the Ismaili website (see link below) with supporters around the world. All ready for the final recipe. Photo: Mohib Ebrahim collection. Although the various logistics components of the Games required the participation of many volunteers, hundreds of others were dedicated to the well-being and relaxation of the athletes and visitors. The Athletes’ Lounge was one such masterpiece of imagination and execution. An eclectic fusion of African, Swahili, Bedouin, Moroccan, Yemeni, Indian, Western and Central Asian culture, the lounge was a place where athletes could sit back relax while volunteers helped everyone mix and mingle and bridged the barriers of language and culture. The International Bazaar was perhaps another, and considered by many as a highlight amongst the non-sporting events. Throngs of people packed the booths, soaking up information about the culture and life of Ismailis from other countries as well as learning about AKDN activities in East Africa. Again, its success was due entirely to the hosts in each booth and the volunteers from each home country who spent weeks planning, designing and producing the lavish, wall sized displays and murals, extensive physical props and other elements of their booths. Rounding out the kebabs before they are cooked. Photo: Mohib Ebrahim collection. For the spectacular Opening and Closing Ceremonies, some 40 volunteers worked on perfecting numerous performances which involved children, youth, seniors, Jamati volunteers, Boy Scouts and Girl Guides, and professional artistes. In total, some 500 volunteer performers worked side by side with professional dancers to ensure both ceremonies were to world-class standards. Numerous other teams of volunteers also played a critical part in the Games’ success supporting various functions such as graphic design and signage, production and branding of team kits, merchandising, managing Information Centres, costume production and props, first aid — and some 200 children just as escorts for athletes — to name a few. Safety and security was staffed by at least 100, with an additional 100 international volunteers spontaneously assisting in various areas. Facing the heat from the fire – all to please the athletes and their delegates. Photo: Mohib Ebrahim collection. In their professional lives, many members of the organising team manage international level sporting events, performing arts shows or large media crews while some of the athletes present compete at the international level. All were unanimous in stating that the Golden Jubilee Games were extremely well organised and on par, or even exceeding, many international events they have been involved with — a view also shared by the referees, performing artists, and other external professionals who were engaged. One producer, also involved in the Olympic Games, noted that the spirit amongst Ismaili athletes surpassed that of even Olympians. It is evident that the Games’ success was in large part due to its volunteers, and the amount of competent manpower they were able to provide. By working together as one, the team was able to exemplify the very essence of our faith, and the true spirit of volunteerism, a fitting tribute to the end of a magnificent and memorable week, and to the celebration of the Golden Jubilee of our beloved Imam. Date posted: Sunday, August 4, 2013. Note: This article is an expanded, edited version of one by the same author published in the December 2008 issue of Ismaili Africa. About the Author: Mohib Ebrahim is the Editor and Publisher of the NanoWisdoms Archive of Imamat speeches, interviews and writings (http://www.nanowisdoms.org). 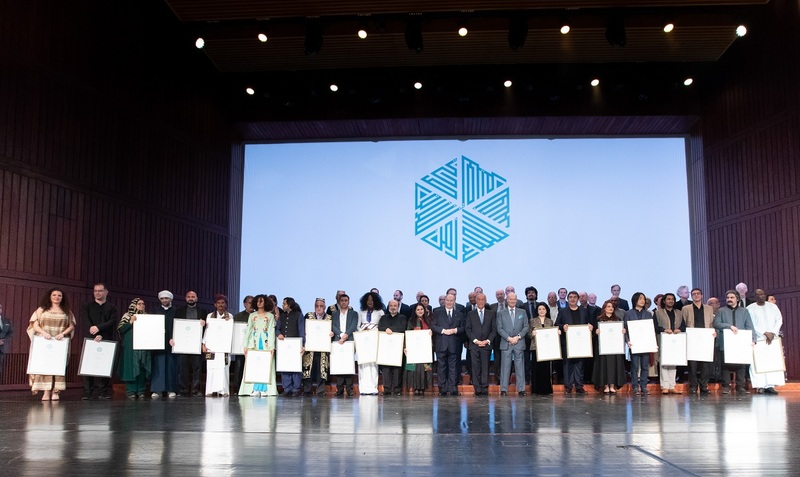 The Archive is a unique website dedicated solely to the Ismaili Imamat’s knowledge and has been granted special permission to reproduce His Highness the Aga Khan’s speeches. With over 500 readings and 1,000 quotes it is the most comprehensive, public collection of Imamat knowledge available today. During the Golden Jubilee, Mohib was a volunteer on the GJ Communications Committee, Kenya and also designed and produced extensive exhibition displays for both the Aga Khan Foundation (AKF), Kenya, and the Aga Khan Development Network (AKDN), Kenya. An honours graduate of Simon Fraser University in Computer Science and Mathematics, Mohib has been involved in software development and the IT industry since the ’80s. His current project, MasterFile (http://www.masterfile.biz), is a state-of-the-art evidence system for academic researchers, investigators, and litigators. 1. 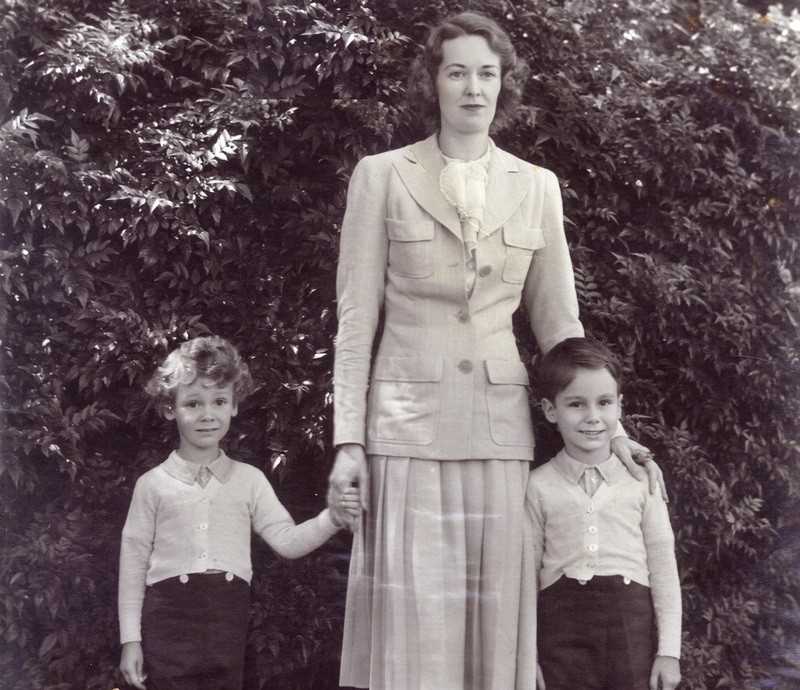 His Highness the Aga Khan and Canada: A Profound Affinity – But Why Canada? Want to contribute to the series? 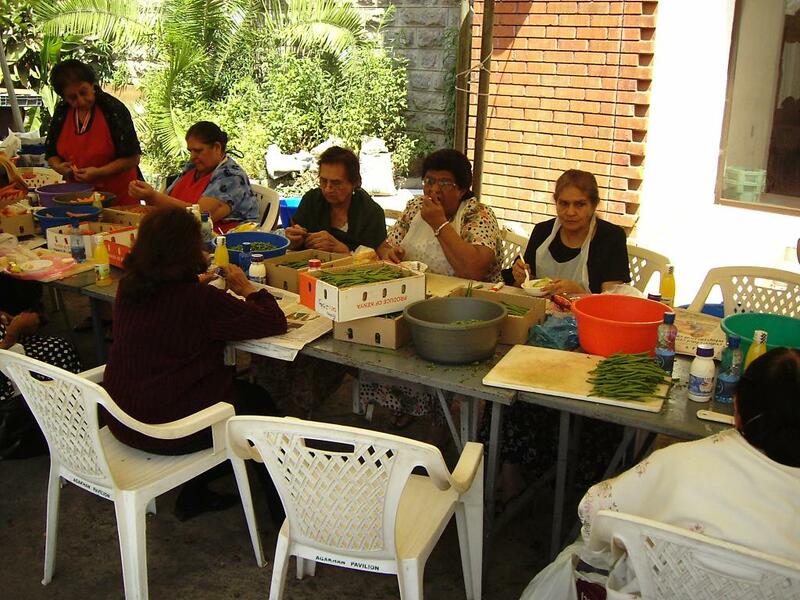 Please click on Stories of Ismaili Volunteers from Around the World. May each and every murid of Mowla Bapa always be this eager and dedicated to render service to Mowla Bapa, House of Imamat and the Jamat. Our tradition goes back several centuries and may the service continue and be the envy of all. Volunteerism within the jamat is one aspect in which the Ismailis must remain supreme. All of us must remain steadfast, and act and live according to the spirit of our beloved faith and its principles. The event was second to none! As a participating, visiting athlete at the event, it felt like a padramni where each athlete and visitor was honoured, catered to and welcomed. The will, unity and hard work of the volunteers to make this historic event a resounding success is to be applauded and will never by forgotten! Excellent. Thank you for highlighting the work of Ismaili volunteers. Originally from Nairobi, I can vouch for the service of the volunteers having myself been one for 20 years before I moved to the UK. The motto of the Nairobi jamat volunteers (together with the international voluntary service) has alwayy been – WORK NO WORDS. Proud to be a member of such an organised community. The writer of this report as well as the editor of this blog deserve a journalistic award! Moula bless you for the tremendous service you are providing by highlighting the services of these unsung Heroes. They are the real backbone of our Jamat. Thank you for this aspect of our volunteer service. Excellent article on the unique tradition of Ismaili volunteerism, something to feel happy and proud about. And what gives the most pleasure to Hazar Imam!